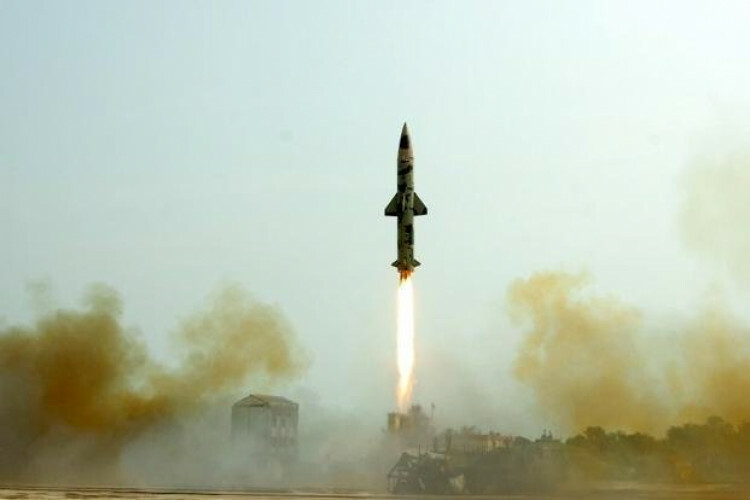 India has successfully test fired indigenously developed nuclear capable Prithvi-II missile from Odisha. The missile has a strike range of 350 km and the officials have called the trial successful. Prithvi-II uses advanced inertial guidance system, thrusted by liquid propulsion twin engines and can carry 500-1,000 kilogram of warheads. Yesterday, India has successfully test fired nuclear-capable missile Agni-1.